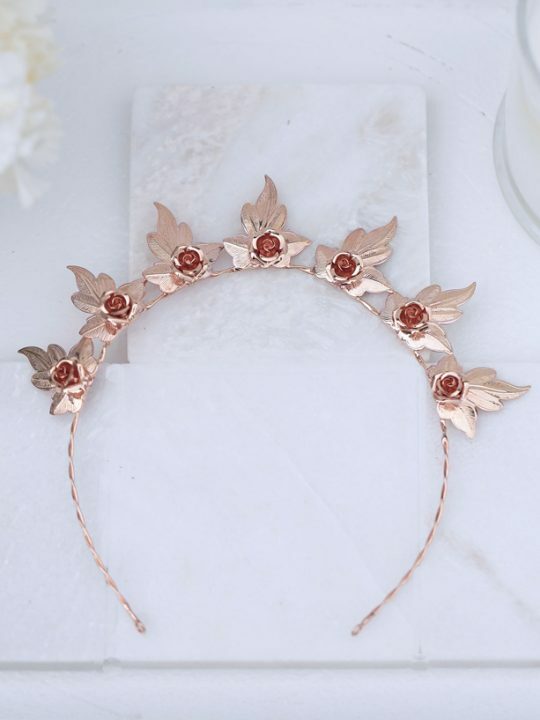 Its like a waterfall of flowers cascading down your hair, let some light in to your wedding day hair with the Adelaide Wedding Hair Pins in rose gold. 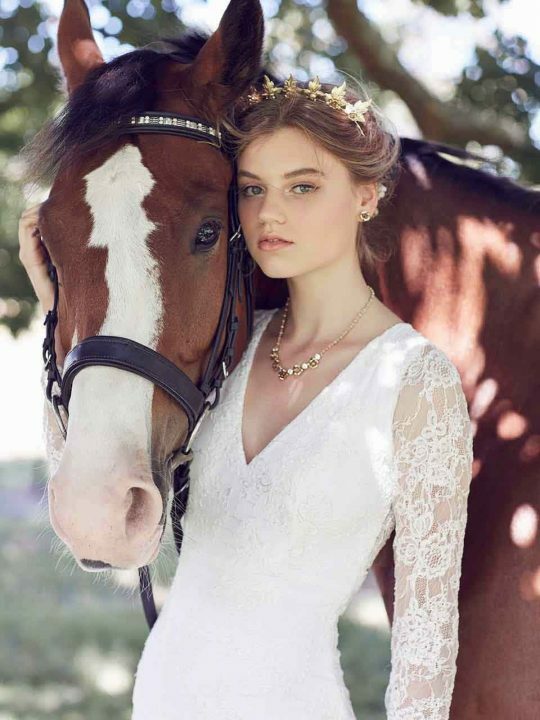 Have a waterfall of flowers cascading down your hair with the Adelaide Wedding Hair Pins. Wear one Flower hair pin at the side of your hair for a simple bohemian look or have multitudes gracing your locks like a jewelled flower crown. Real flowers are gorgeous but some times they can wilt on hot days or fall apart. These hair pins will stay where you put them all day long and can be worn for events in the future. 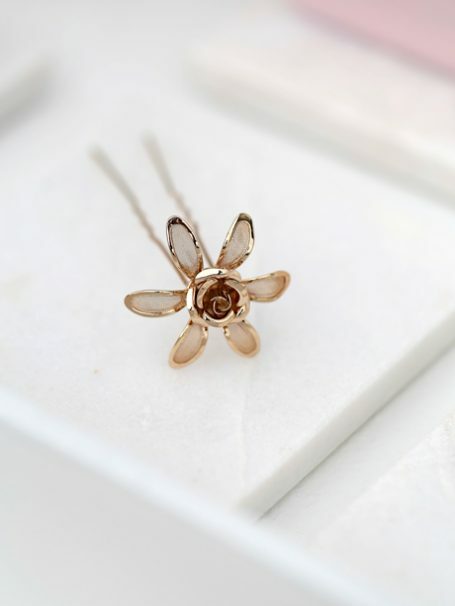 Each of the Rose Gold Adelaide Wedding hair pins has 6 mesh centred petals with a rose like flower in the middle. Match with the rose gold Adelaide earrings or the more simple Melbourne wedding earrings. I love these pins in rose gold. As they give a really illuminating glow and a point of difference compared to silver. 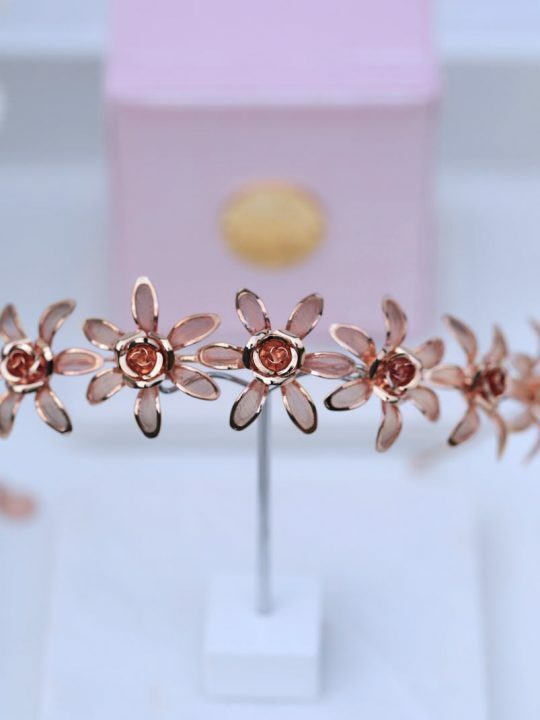 We usually have plenty in rose gold stock ready to send to you for your wedding day. If you want the pins in gold it will take a couple of weeks to custom make for you. Somethings in life are well worth waiting for and these pins are definitely one of them. You can change the angle of the flower at the top of the pin. They have been designed so they can be moved. A great idea as the angle has to be just right when placing in your bridal hair style. Making it so the flowers true beauty can be seen at any angle. Just squeeze the flower and push the flower until its on an angle and wear closer to the head. 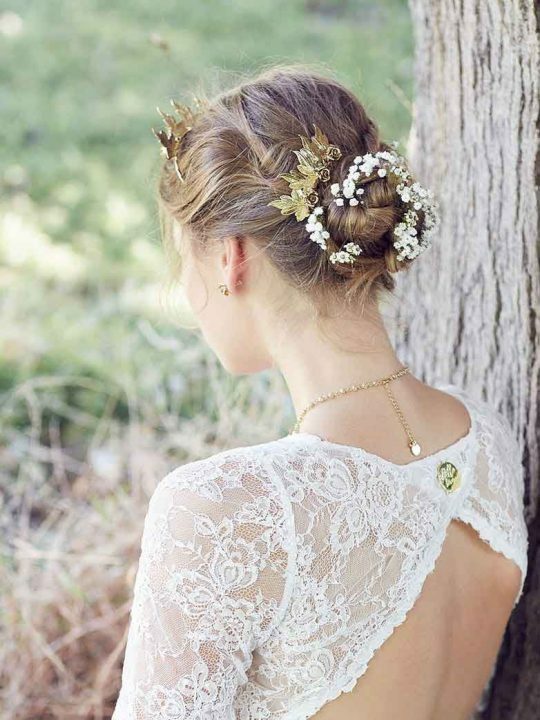 The wedding hair style ideas are endless when it comes to the placement of these diverse pins. They will add a uniqueness to any hair style. Also an ideal gift for your bridesmaids.